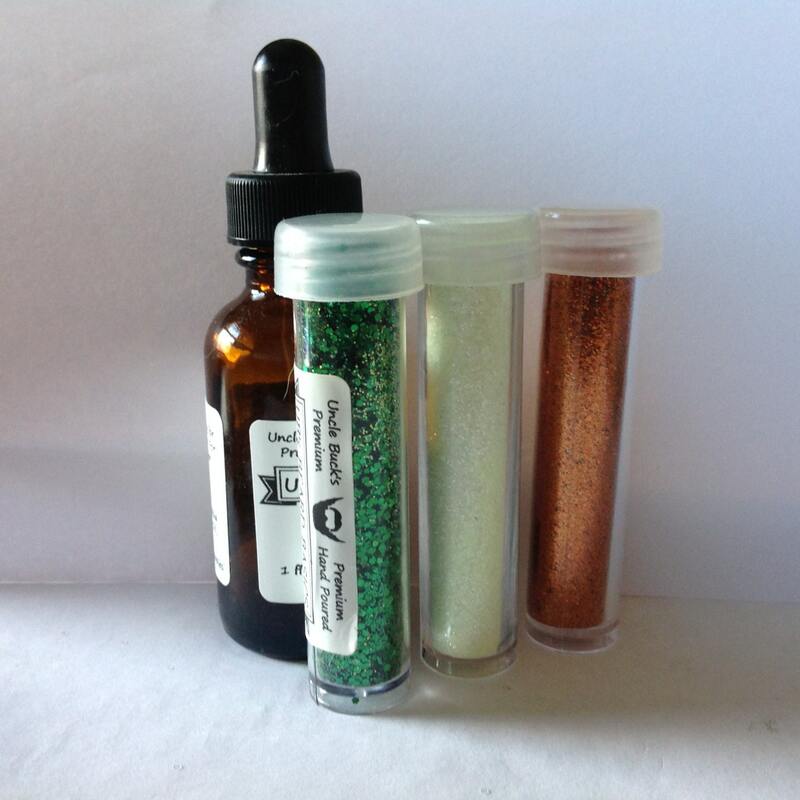 Halloween Glow in the dark Beard Glitter Beard Beard Glitter blend vials, enough for several applications for an avg length beard. This kit includes our hanpoured organic pre glitter serum. By UB's Beard Basics USA with a full line of men's beard grooming products offered. We have a set of Halloween theme color replacement vials for sale as well without the pre glitter serum. You will receive three vials of the Halloween color theme, one glow in the dark, and one orange, and one green. There is a full one ounce bottle of our unscented pre glitter serum that can be used daily without the glitter for beard maintenance. Halloween is just around the corner. Buy the set to save on shipping. A perfect gift for your favorite bearded man. If you prefer a scent, please message us and we will come up with a custom set for you.